The Project was due in on Friday, so I was happy that I managed to hand it in on Thursday. Because of this, I am listing this version of the animation as final. You can see the result, you need to click on it to start it playing. Note the flash video file is 89.6s long, and is 15MB, so that is why I don’t have it start downloading/playing until you click on it. If it is a little jerky when playing back, you may wish to (click on it to) pause it until your machine has downloaded more of the video file. Rex 2010, 1080p version. MP4, 21MB, tested and works on iTunes, PS3, & XBOX360. Rex 2010, 360p version. Flash Video (flv), 15MB. Same video file as streaming version above. I haven’t made any update posts for a while. I have to hand my project in next Friday, so i have been busy working on getting something to hand in. This won’t be the end of this particular project, as I will probably re-do it, and complete it better next year, using different software I want to learn. 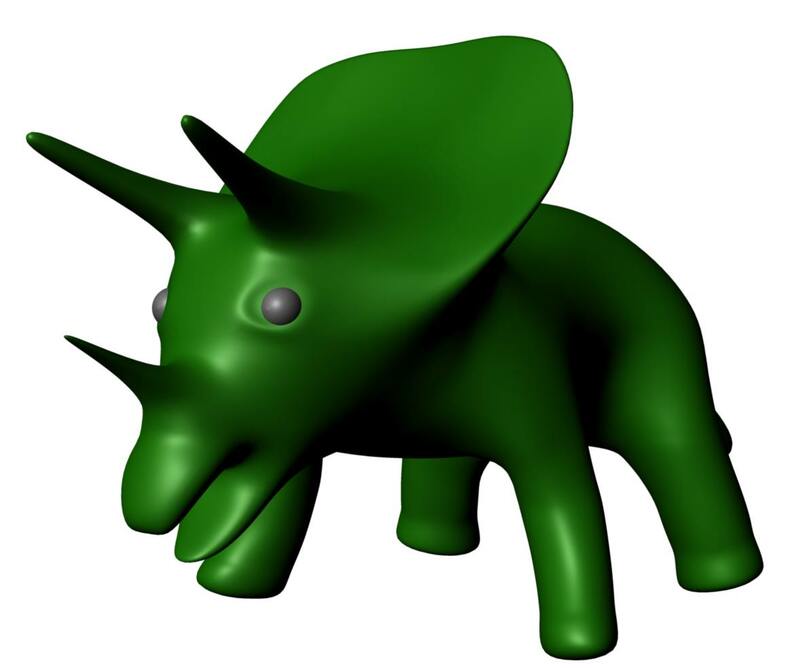 All primary and secondary models completed (sculpted, rigged, textured). Landscape completed for now (if I get extra time, I may touch it up, but it is sort of having the feeling I was after when I first envisioned my project). I am now in the middle of putting scenes together to carry the story through. At present I have 8 scenes completed (though two need re-working if I have time), adding up to 490 frames (19.6s at 25fps). Below is a quick flash render of the current project. As I said, still needs a few scenes to make the story and timing work. You need to click on it to download and start it. Yes, I’ll post something next weekend after I have handed in something. And then it will probably be next year before I return to the project, with a different software package. Now since I am working on a cartoon, rather than real life, I have to decide on a colour for the characters…. so, how about yellow for the plant eater? The holiday is over, so I’m back on task now. Looking at my predator, I decided that he really was missing an important feature, teeth! I’ve gone and added some now. And yes, if you look, they are all actually the same tooth, just placed in different locations and adjusted in size a little. If I need to custom design each tooth, I will, but I don’t think that will be necessary at the stage for a carton. 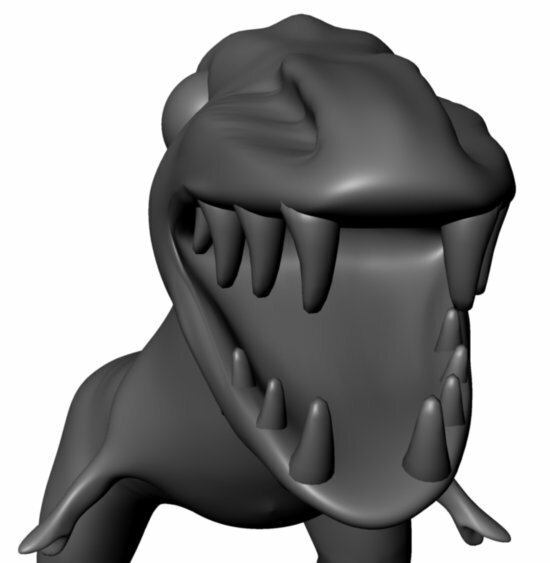 Just one quick note; The image was supposed to have five teeth on each side of the lower jaw, and four on each side of the upper Jaw, but for some reason a few of the teeth didn’t come across from zbrush to maya when I used the goZ function… will have to either look into that, or do it manaually. This idea isn’t really an animation, more of an idea for a still shot. I believe they are a parts store or something like that, don’t have a bike, never been inside. My idea was to have a picture of a store front with the logo “Motorcycle Replacements” on the window, but when you look inside the front window, you have (from left to right) A horse (and cart if you can fit it in), a bicycle, a stroller (those cool ones with a basket in them which can be used as a seat), and a go-cart. Ok, that was my idea, I reckon it could be a funny picture. Looking at the last post, the title was tired, and my wife said this time she thinks the title should be lazy, and well you don’t want to disagree with your better half, so the title is lazy. The report is that I really haven’t done much since last time I posted. Last week and last weekend I was busy with a bee-keeping course, and this week I really wasn’t feeling good. And my wife also reminds me I may have spend a little time playing xbox rather than sculpting, but that doesn’t take any thinking, so I reckon that’s an OK excuse. Either way, this post is just to say, sorry, not much progress, nothing to post right now. Not sure why, but I’m really tired tonight, so I think I will crash early. 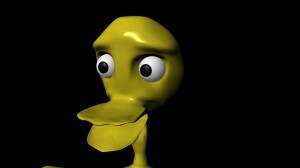 Just thought I would post a quick pic of what my chick’s head looked like last time I rendered it. Kind of like it, but when I first started working on it, I was thinking a light covering of fur/feathers/down, so not sure where I will take it from here. Either way, here’s the pic, and I’m off to bed. Well I’ve been busy this weekend. I have been working on my previz. I want to make some progress on it, so I can start looking at the timing, and maybe the camera angles, so I have been pushing a few scenes through. Done enough for today so I thought I would do a render and show what I have done so far. The images are a little better this time than the previous previz renders. I haven’t done anything more to the models or anything, I just told it to render to a higher quality. For that reason the file is a lot bigger, 7 Meg in fact. Because some people have slow internet connections, I don’t want it to just start playing on the page without warning. For that reason, I have this time uploaded the video in a way that you have to click on the link to start downloading or viewing it. If you have any problems, let me know, and I will look into a better solution, but I’ve done enough thinking this weekend, so that is why I am just looking for a quick easy solution to make it available to anybody who wants to look at it. Often you will see models, mainly the chicks, jumping up an down, and moving side to side. This is often meaning I am trying to demonstrate facial expressions, but don’t have any on the model at this stage, so I just move the entire model around a little to remind me that is what is supposed to happen. I suppose I should add some audio to say what is happening, but if you follow the video, keeping in mind the last storyboard I posted, you will probably be able to work out what is happening. Remember, this is just a previz, mainly so I can start working on what needs to be in the video and what doesn’t, and also start thinking about timing and camera angles. link to the video in mp4 format. Well, I’m sitting here feeling a little broke. Its amazing how easy it is to spend money from your keyboard these days. 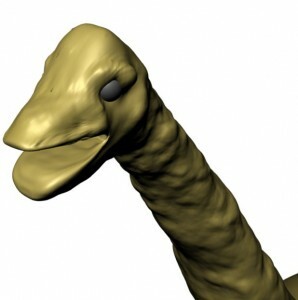 Either way, I just brought my own copy of Zbrush (v4), for NZ$859.99 (US$595). So will have to cut back on the spending for a while, but can now do more work at home as the trial version I was using expired. It is a lot easier to work at tech and at home, rather than having to do everything at tech.